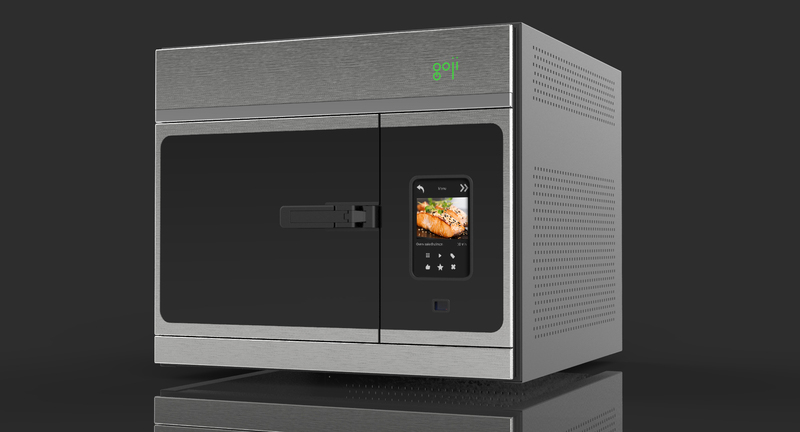 A Goji-powered oven utilizes RF solid-state cooking technology, which senses the food and optimizes the heating field to enable healthy, high quality and rapid cooking. Silicon Wadi a French magazine focused on Israeli innovation, reviewed Goji’s RF cooking technology and concluded that it belonged to the kitchen of the future, inspired by Star Trek. Goji technology was developed by a team of experts in the field of wireless communication, electrical engineering, software engineering, electromagnetic engineering and, of course, a chef. RF cooking can perform many of the tasks of a traditional oven, steam cooker, grill, pressure cooker and hob. “Our technology promises to enable a new range of all-in-one appliances which can prepare a range of delicious and healthy dishes more easily,” said Daniel Selinger, RF Chef at Goji Research, the R&D affiliate of Goji. 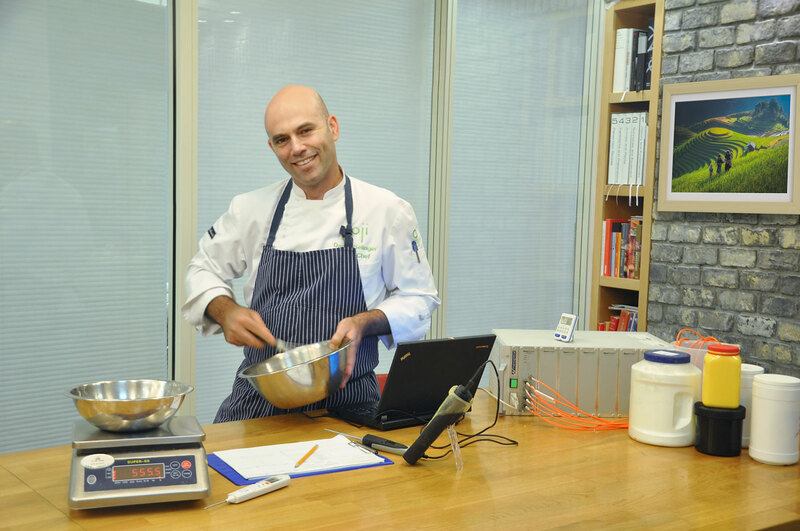 ‍Daniel Selinger, RF Chef at Goji Research, preparing for the next cooking experiment. Through the use of solid-state electronics, Goji’s technology creates and controls an electromagnetic field in the oven, which is converted into heat within the food itself, providing high quality, rapid cooking performance. In addition, high-accuracy sensors detect information about the food in the oven, automatically optimizing the choice of frequencies and other parameters to cook it. “Our technology promises to enable a new range of all-in-one appliances which can prepare a range of delicious and healthy dishes more easily." - Daniel Selinger, RF Chef at Goji Research, the R&D affiliate of Goji. “The traditional microwave oven uses radio waves too, however it offers little control over the actual heating process,” explained Ben Zickel, CTO of Goji Research. Without control over the energy, it is easy to over- or undercook certain parts in the food. “That’s why most users consider the microwave oven as a means to reheat a cup of coffee or leftovers and do not actually cook food with it." By controlling the heating process and cooking the food more evenly and rapidly, it is possible to improve its taste and texture while also shortening the cooking time – advantages that would be valuable to food service operators as well as consumers. Though Goji regularly presents its technology using demonstration ovens, it does not intend to sell its ovens, but partner with appliance manufacturers and brands to integrate this capability into their own products.